Factory Framing Centre Ltd is a family owned and staffed picture frame manufacturer, serving both commercial and retail customers in the Newcastle upon Tyne area. We can make a frame for just about anything including: original artworks, prints, posters, photographs, certificates, tapestries, even footballs and football shirts (well we are based in Newcastle!). 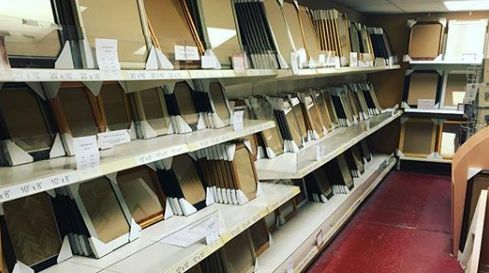 We also have a Showroom stocked with a large selection of picture frames in different styles and sizes to suit all budgets. As well as picture frames you will find a selection of framing accessories for those who like to have a go at framing themselves. We stock a large selection of artwork from many local artists and from local scenes, as well as framed mirrors in all sizes and styles. You will also find a variety of gifts and local geordie gifts available here in our showroom - The Geordie Chilli Company products are a must for anyone who can handle a bit of spice!! !